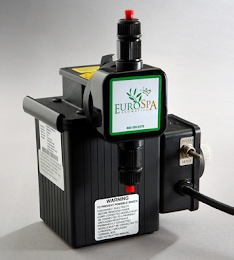 Eurospa Eucalyptus Oil Uses: Looking for the Perfect Christmas Gift? It's Right Here! Looking for the Perfect Christmas Gift? It's Right Here! 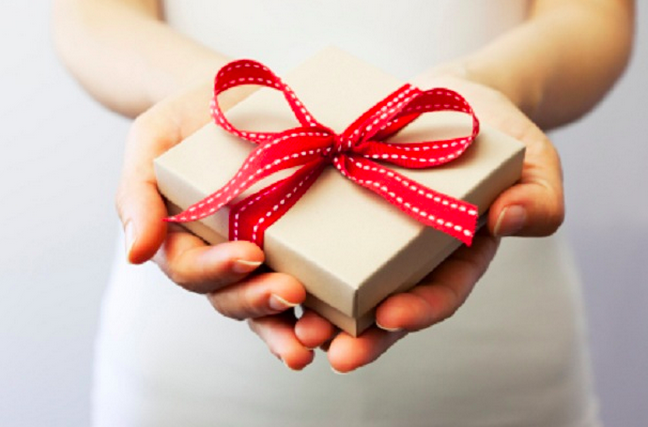 We spend so much time searching for the perfect holiday gift for our loved ones, whether it's for Christmas, Hanukkah, Kwanza and more! Whether you plan in advance or wait until the last week, the same question comes to mind: WHAT am I going to buy? Some people are hard to buy for and for some it's far too easy, but one thing that remains in common is that people like to feel good. They like to be relaxed and enjoy the feeling of good health. This is why we recommend eucalyptus oil shower spray as this years best gift (stocking stuffer too!) From warding off winter colds to cooling those summer burns, this gift is one that will keep giving back the entire year! Eucalyptus will help dilate the circulatory system, increasing circulation. Use 1 drop during massage over any area of concern. During an asthma attack, massage 1-2 drops over the chest. Also, inhale the aroma directly or diffuse in the air. Diffuse or spray the mist throughout the home or classroom to increase circulation to the brain. Use topically or aromatically, massaging into the chest, back and throat, inhaling from the bottle, or dropping the oil on the shirt collar. Eucalyptus oil uses included clearly congestion from the airways. I recommend inhaling for nasal congestion and massaging the oil over all other affected areas. Yes, eucalyptus oil uses even include cooling the body down. Place several drops in a spray bottle, along with peppermint oil if you'd like some extra oomph, and spritz over the body. Diffuse or spray throughout the room throughout the span of the illness, but also massage into the reflex points of the feet (follow the application guidelines in the link above), as well as over the chest, back, and throat. 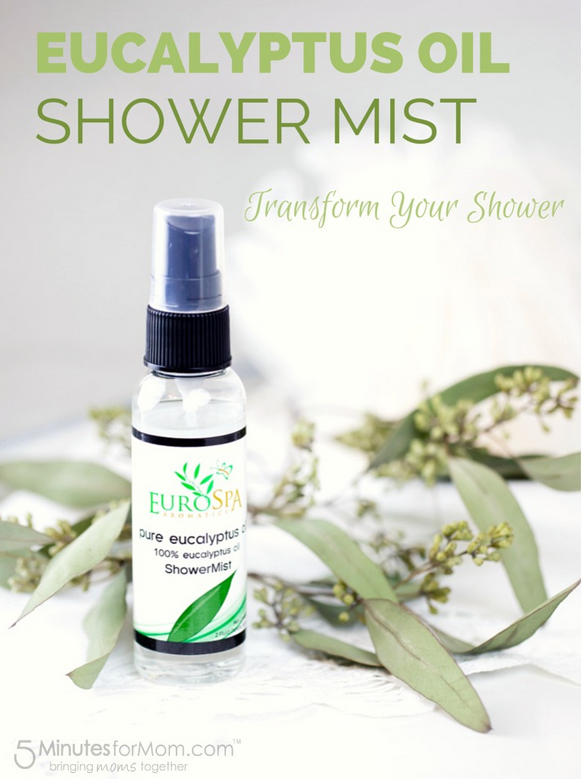 *Be sure to add the shower mist spray to a hot shower, bath or steam room, as this will quickly break through congestion and mucous for faster relief of respiratory conditions. Because of the vasodilation mention above, using eucalyptus on a daily basis can increase circulation, a common issue for diabetics. I recommend massaging it into the body with lotion after each shower, as the massage will also help increase circulation. Its antiviral and antibacterial properties naturally make cleaning among one of the eucalyptus oil uses. Follow this household cleaners guide for more information. Massage 2 drops of eucalyptus over the abdomen in a counter-clockwise direction to ease diarrhea, inflammation, and fight infection. Never put essential oil IN the ear canal! However, you can massage the oil on and around the outer ear. Use only 1 drop to start, diluted for children. Eucalyptus oil uses are wonderful for all manner of respiratory disease. Diffuse or spray your personal sized mist the oil daily, massage 1 drop over the chest at least once a day, and another drop into the reflex points of the feet. To help drain mucus from the lungs, massage 1 drop into the reflex points of the feet and apply another drop over the chest at least once a day (I'd personally do three times a day if no sensitivity is found). Because eucalyptus oil uses include cooling the body (above), using during a high fever can help the body regulate its temperature and support its efforts in fighting infection. Depending on your flu symptoms, eucalyptus oil uses will vary. You can apply to the abdomen to ease diarrhea, massage into aching joints and muscles, or simply diffuse through the air to fight infection. Another of eucalyptus oil uses, you can help regulate your blood sugar by massaging 1-2 drops into the soles of the feet daily. Massage 1-2 drops over the afflicted area, always moving toward the heart to support the lymphatic system. This recommend comes from Modern Essentials (mentioned below). While you should never put essential oils IN the eyes, massaging into the temples may support the irises. Eucalyptus oil uses include waking up the body with its slightly sweet, fruity, and uplifting aroma. Use topically or aromatically. Massage 1-2 drops of the oil over the afflicted area up to three times a day. Its natural insecticidal properties make this among one of the more surprising of eucalyptus oil uses. Read more about treating lice naturally here. Diffuse and spray your mist throughout the home for the length of the illness, and massage 1-2 drops into the reflex points of the feet 2-3 times a day. Another of the little-known eucalyptus oil uses, massaging into the areas of concern daily can reduce pain. Along with neuralgia, massage several drops into the reflex points of the feet and over the affected areas can reduce inflammation. Strain, fatigue, etc can all be treated with a gentle massage of eucalyptus oil. Always massage toward the heart to move the lactic acid buildup through the lymphatic system. Depending on the type of pain, eucalyptus oil uses may necessitate application to the reflex points of the feet or directly over the area of concern. Help the lungs to clear by diffusing constantly and massaging directly over the lungs. Use the shower mist as often as possible. It will also help to massage eucalyptus into the reflex points of the hands and feet. Reduce inflammation and open airways by inhaling directly from the bottle, massaging one drop over the sinuses, or applying as a hot compress. Eucalyptus oil uses include shingles for its antiviral properties, as well as its anti-inflammatory and analgesic properties. Massage into the affected areas daily, add to a warm bath, or use a hot compress over the area. Apply as a hot compress over the sinuses and massage 1-2 drops into the reflex points of the feet (toes and pads of the feet). You can also inhale directly or diffuse throughout the room. I highly recommend finding a massage therapist who specializes in treating tennis elbow and bringing along your eucalyptus to include in the deep massage of the area. Eucalyptus oil uses include fighting the bacterial infection, clearly the lungs, reducing inflammation and more. Diffuse constantly and massage 2 drops into the chest and over the back. With a list that extensive, who WOULDN'T want such a healing remedy stocked in their home? 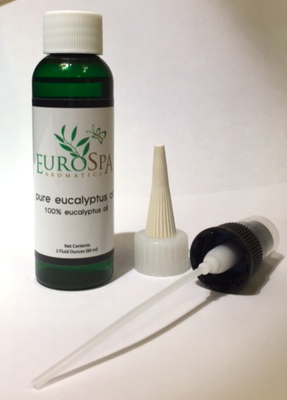 We invite you to stop by and buy a bottle of Eurospa's Eucalyptus Oils Shower Spray today for yourself AND your loved ones for the holidays. They deserve great health and SO DO YOU.